The leadership program, derived from the adult Leadership Lauderdale program, is managed by the Mississippi State University Extension Service through its 4-H Youth Development program. Hale’s one-year project began in 2017 when she met with Batson representatives to plan a strategy. Hale designed and sold T-shirts to raise funds to buy instruments. She raised $3,000 and worked with Mississippi Music in Meridian, which sold her new instruments at a discount. She donated the remaining $1,610 to Batson to help renovate the space it plans to use for a music therapy program. 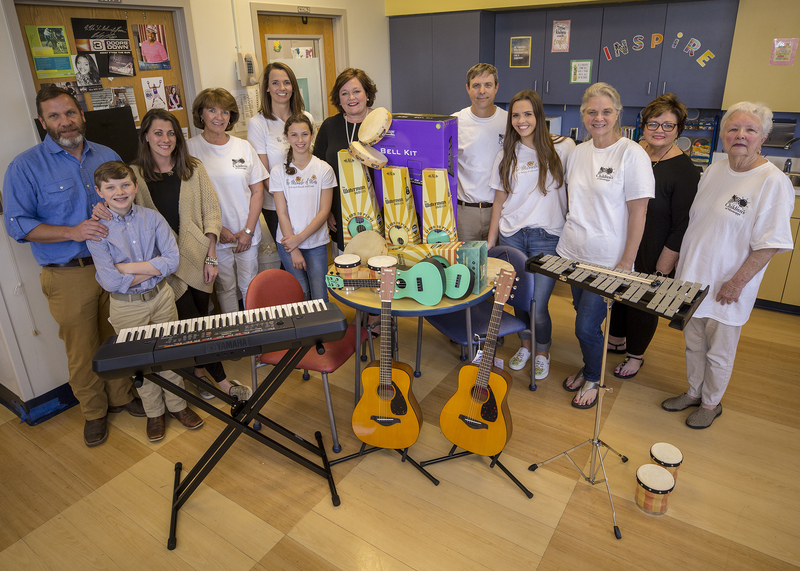 The inspiration for the project was Blue Star Connection, an organization started by John Catt that gives musical instruments to children facing cancer and other life challenges. Catt was a family friend whom Hale met on vacation a few years ago. Later that year, a tragedy struck a beloved teacher’s family and set Hale’s mission in motion. Allie Carruth, the daughter of Bill and Leslie Carruth, was a patient at Batson Children’s Hospital after an accident that ultimately took her life. The music therapy room features a plaque in her memory. Tiffany Key, a certified child life specialist at Batson, said she and other child life specialists will use the instruments to help relieve stress and nurture development in patients. Hale said she is happy to contribute to the well-being of Batson patients and hopes the instruments get many years of use. Each fall, 30 students participate in the 18-year-old Leadership Lauderdale Youth 4-H Club through an application process. Participants pay a $35 fee, and the remainder of expenses are funded through private donations from local businesses and individuals. Past community projects include volunteering at the East Mississippi Animal Rescue, collecting sports equipment and tennis shoes for donation to the Boys and Girls Club of Meridian, collecting personal hygiene items for a homeless shelter, collecting books for schools in Africa, and collecting food for the Backpack Ministry, which provides food to students who would otherwise not eat outside of school. For more information about the club, contact Swearingen at 601-482-9764.